This magnificent showcase for men's voices by Joseph Martin to a text by Will Everett is a message of heroism, peace and love for the ages. 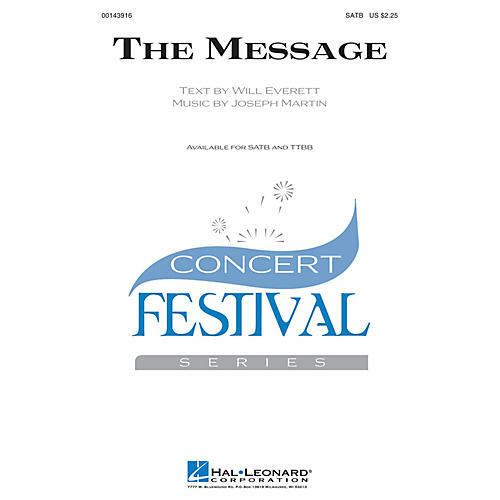 Commissioned and premiered by the Harlingen High School Varsity Men's Choir at the 2015 Texas Music Educators Convention, this is an excellent selection for men's honor choirs and all-states. Also available in a mixed setting. ScorePlay - click to view score with recording.